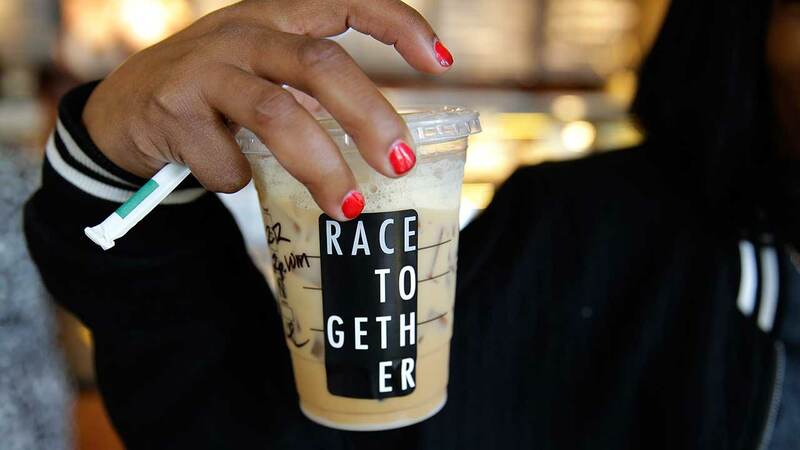 SEATTLE -- Starbucks baristas will no longer write "Race Together" on customers' cups starting Sunday, ending as planned a visible component of the company's diversity and racial inequality campaign, according to a memo. The coffee chain's initiative will continue without the handwritten messages, Starbucks spokesman Jim Olson said. The cups were always "just the catalyst" for a broader conversation and Starbucks will still hold forum discussions, co-produce special sections in USA TODAY and put more stores in minority communities as part of the Race Together initiative, the memo from CEO Howard Schultz said. The initiative has been criticized as opportunistic and inappropriate, coming in the wake of racially charged events such as national protests over police killings of black males. Others questioned whether Starbucks workers could spark productive conversations about race while serving drinks. The change is not a reaction to that pushback, Olson said. "Nothing is changing. It's all part of the cadence of the timeline we originally planned." He echoed the memo, saying of the "Race Together" initiative, "We're leaning into it hard." The Schultz memo acknowledged the naysayers and skeptics as an anticipated part of the outreach. "While there has been criticism of the initiative - and I know this hasn't been easy for any of you - let me assure you that we didn't expect universal praise," it read. He said the campaign at its core aims to make sure that "the promise of the American Dream should be available to every person in this country, not just a select few."